There are at least 85 active cannabinoids present in the cannabis plant. Cannabidiol (CBD) is easily the most exciting though, offering a host of medicinal uses. CBD doesn’t have psychoactive effects, meaning you won’t get high by ingesting it. Cannabis is a profoundly powerful medicine that has been used for thousands of years. As science moves forward, we have been able to really examine just how the cannabis plant affects our body. What we have found is that it offers far more health benefits than previously thought, kind of a cure-all, from pain reliever to anti-cancer agent. We wanted to compile some of the well documented health benefits of cannabidiol to help raise awareness for this natural super-drug. Cannabidiol has actually been found to negate some of the effects of THC (the psychoactive component in cannabis). More specifically, cannabidiol helps to prevent the acute memory impairment caused by Tetrahydrocannabinol (THC). We all know how important antioxidants are for our health, and we all know about Vitamin C and Vitamin E. What you probably didn’t know, is that cannabidiol is a more powerful antioxidant than either Vitamin C or E.
The powerful antioxidant benefits of cannabidiol are thought to be partially responsible for it’s ability to fight chronic inflammation and protect brain cells from reactive oxygen species. The cannabis plant is widely known for its analgesic properties. There are a few cannabinoids that help to relax muscles and relieve pain, but the most prominent is cannabidiol. 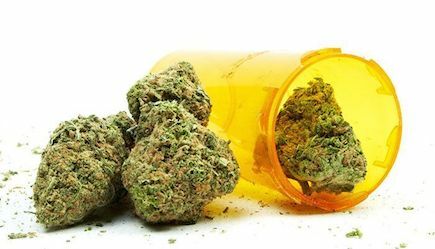 Cannabis extracts have been found to relieve pain even more effectively than opioid painkillers. Opioid pain relievers are widely prescribed for pain, however they pose some serious health concerns and are extremely addictive. Cannabidiol can be used to help treat acute pain, postoperative pain, chronic pain and neuropathic pain. This has made it a preferred pain management treatment for cancer patients, individuals with multiple sclerosis, migraine sufferers and people with phantom limb syndrome. Marijuana may have a bad reputation, associated with brain-dead pot-heads and lazy slackers. Contrary to this common misconception, cannabidiol actually helps protect our brain and cognitive function. Inflammation is a leading contributor to virtually all known diseases, neurodegenerative disorders included. Because cannabidiol acts as a natural anti-inflammatory as well as a potent antioxidant, it is a very promising treatment option for all neurodegenerative disorders. Researchers have been searching for a cure for cancer for decades, looking for a treatment option that doesn’t ravage the entire body. After spending well over $100 billion on cancer research, we still don’t have a cure. But the answer may have been hidden in plain site, deep inside the cannabis plant. Cannabidiol has been found to activate apoptotic pathways in breast cancer cells. Researchers are now exploring the cancer-fighting potential of cannabidiol and the initial results are very promising. CBD is an antineoplastic agent, meaning it inhibits the growth and spread of tumors. Making it a promising potential treatment option for cancer patients of all kinds. Alright, cannabidiol is a powerful sleep aid, pain reliever, yields serious benefits for our cognitive health and even helps fight cancer. As if that wasn’t remarkable enough, it even helps us heal broken bones. Don’t expect miraculous healing powers like Wolverine, but one study shows that CBD lead to an improvement in fracture healing, playing a critical role in collagen crosslinking. Meaning it helped fractured bones repair themselves more effectively.